Yesterday, the USPTO (United States Patent and Trademark Office) published a new patent on behalf of Samsung Electronics. Although vaguely titled electronic device, the images show a folding smartphone consisting of two separate displays, the same design and style used by ZTE on its Axon M launched last year. The device has a much more modern design than its Chinese Axon competitor, with thinner bezels that make the smartphone particularly stylish even when folded. 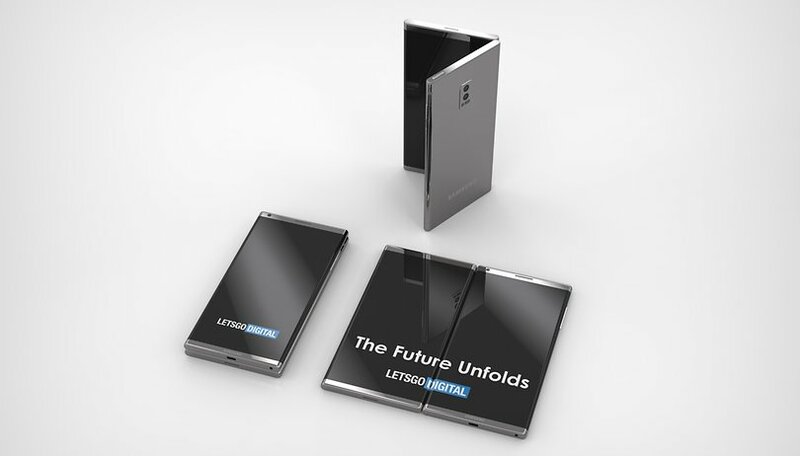 In its most compact form, the design is quite similar to that of today's high-end smartphones. On the front, there seems to be space for only one front camera, while on the back we find a double camera positioned vertically. From the drawings you can also see the presence of a 3.5 mm audio jack and a USB Type-C port at the bottom. In addition, following Samsung's patent application, the LetsGoDigital team moved quickly and created 3D renderings of the folding smartphone proposed today. Considering the fact that previous renderings of Samsung's folding smartphone showed something difficult to execute, what we see today could actually be what will be presented next February 20 during the company's Unpacked event. This device shown in today's patent looks much more like the one in Samsung's recently published teaser video. Of course, we will know more as we approach the event, which we remind you, will be held in exactly one week. Samsung's VP: "folding smartphones are the new era"
Do you think this will be Samsung's folding smartphone? Are you excited or disappointed? Let us know in the comments. Making it foldable and durable and smart at the same time is indeed a tough challenge. Looks more like a TWIN display that closes up, IF this what they release.